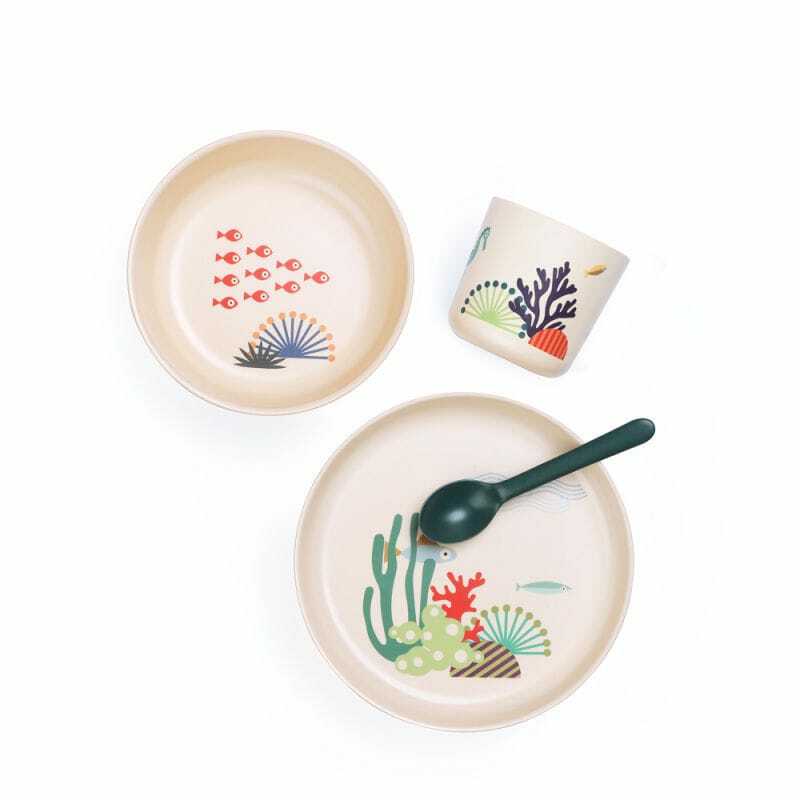 Introducing our FIRST EVER illustrated dishware: kid sets SEAS & TREES. A tiny reminder during meal time that Mother Nature and her creatures are so important to respect and to protect! These designs are packed with color and will mix and match with all our monochrome products. 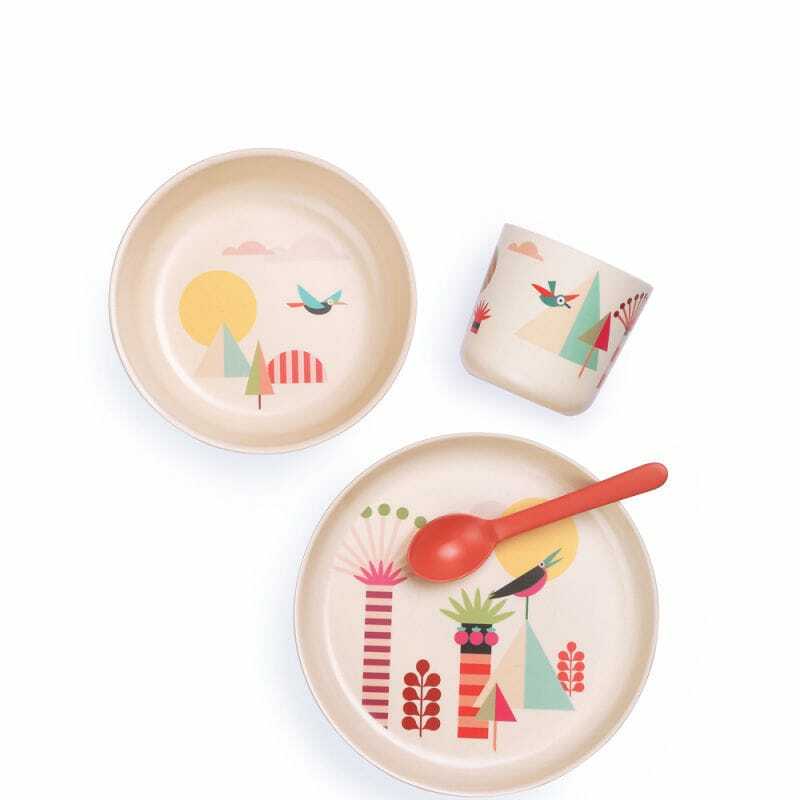 The 4-piece Kid Set, made with FSC certified bamboo fibre and soy inks, has been designed for pint-sized hands and eating habits. 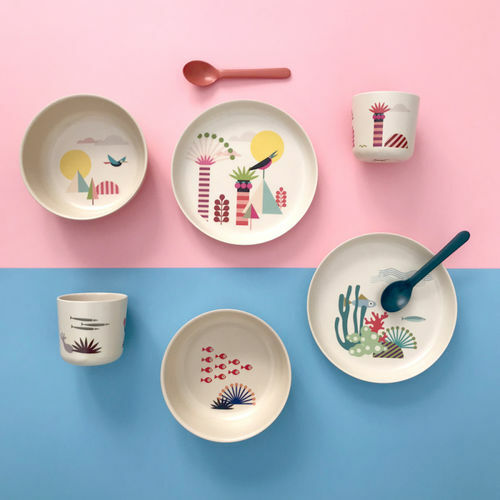 Practical, shatter-proof, dishwasher-safe and eco-friendly, this set is perfect for indoor and outdoor use. Pop it in your beach bag, or take it camping! Cup, plate, bowl and spoon are sold together in a premium gift box, ready to offer to the little ones in your life.